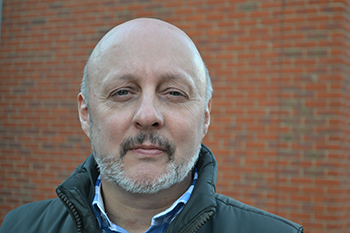 Middlesex criminologist Simon Harding calls for tougher government action on dangerous dogs, after his research uncovers link between violent crime and the trade for dogs on Britain’s streets. The research story has hit the headlines and been covered extensively in the media - see some of the media stories below. Dr Simon Harding is calling for tougher government action on dangerous dogs, after his research uncovered links between violent crime and the trade for dogs on Britain's streets. The Middlesex University criminologist conducted more than 100 interviews, including many with dangerous dog owners and several gang members – often tracked down on the streets – and found evidence of animals changing hands for up to £10,000 each. His three-year study reveals that dogs are being bought and bred for money and credibility. And though status and protection are still cited as key reasons the dogs are needed, he was surprised to find the primary motivation was often making money – breeding and selling the most aggressive animals. Dr Harding discovered that a litter of six dogs can bring in £1,000 and prize pitbulls can fetch up to £10,000. Big profits were available through unregulated and ad-hoc breeding, leading to a new generation of dangerous dogs selected for their most aggressive characteristics. Dogs were then sold for use in criminal activity, protecting illegal business transactions and street drug dealing. He also found a link between owners of status dogs and previous criminal convictions. The research also found regular evidence of a worrying trend to share, or effectively pool, a dangerous dog between a number of people. This led to dogs becoming even more aggressive as they were frequently mistreated by a wide group of owners and had no single 'master'. Dr Harding, who was motivated to carry out his research following the dog-related murder of Seyi Ogunyemi in south London, said: "This issue has been talked about extensively without resolution. The government and authorities need to get their fingers out and resolve the issue. No more excuses, more needs to be done proactively and we can't just wait for more victims of aggressive dog attacks. "I found there was an increase in public anxiety – people are using parks and public spaces differently where these dogs are found – and these concerns are valid. "I was surprised that it wasn't just a protection or fashion issue and that money was a major factor in people wanting to own these dogs. The notion that gangs are switching to using dogs instead of knives as weapons isn't necessarily true – dogs are used for money and status. This increased commoditisation of dogs has led to more backstreet breeding and more aggressive dogs bred specifically to seek out aggressive characteristics." *Dr Harding uncovered a strong link between dog owners who have been arrested or had their dog seized with previous criminal convictions ranging from drug dealing to attempted murder. "Owners, who are overwhelmingly young men, select aggressive bull breeds because of their reputational branding such as loyalty, strength and ability to mould the dog's personality. The young men are often unemployed with few qualifications and they see the dogs as giving them the status they feel otherwise unable to achieve." Research findings – "street capital"
*Alongside money Dr Harding also found a common motivation for dog ownership was what he refers to as 'street capital'. "People I talked to kept telling me that lack of respect increases the risk of violence and to avoid this violence they need to build street capital which they then must maintain. Having an aggressive dog enhances their status by association and being in control of a status dog indicates you are in control of unleashing potential violence. Dogs can also be used to control public space and to resolve disputes for respect as a form of 'street-jousting'." He has outlined his work in a new book, Unleashed: The phenomena of status dogs and weapon dogs, published by The Policy Press. Media exposure; the research has been highlighted by mainstream media, including the Independent, BBC News , ITV News and Sky News.